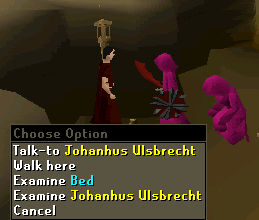 If you are looking for the modern RuneScape guide for this content, please see our Death to the Dorgeshuun guide. 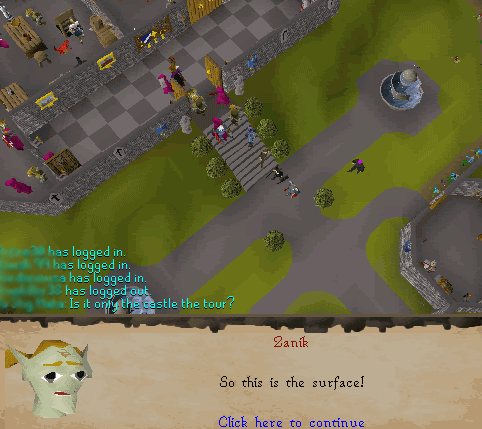 Humans have been visiting the Dorgeshuun mines for some time now, but no Dorgeshuun has visited the surface since the signing of the Lumbridge-Dorgeshuun treaty. Talk to Mistag in the Dorgeshuun Mines. Tip: For an easy-to-follow diagram of what to do, see this helpful picture. 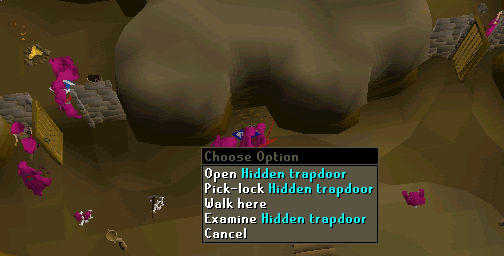 2,000 Ranging experience 2,000 Thieving experience Ability to enter the H.A.M. storerooms. Ability to use the new Dorgeshuun special attacks.